We use a copious amount of dried bonito and kelp to make the soup. Our soup contains no chemical seasoning. He worked in an udon restaurant when he was 20 years old. He worked in an udon chain restaurant for 5 years. And he worked in a pribvete udon restaurant for 5 years. He became independent when he was 30 years old. He is an udon chef who never stops trying to make more delicious noodls. We say, Kendonya is handmade udon noodles restaurant, but we have a rice bowl and set menu. What these all have in common is that you can find them in a cheep restaurant. I thank that noodles are food of the common people, so anyone can eat them easily. Because our objective is good taste, our quality control is thorough. Everything is important. I want to make delicious handmade udon noodles. I want to make the kind of udon that could win against that of a 3-star restaurant. I do my best every day. A long time ago, udon was also called "Kendon". Restaurants that served these noodles were called "Kendonya". Moreover, aristocratic and wealthy merchants referred to the box that was used when eating noodles as " Kendon box". In honor of this, we named our restaurant Kendon-ya because we work hard to make the best udon noodles possible. This cat is Kendonya's mascot. 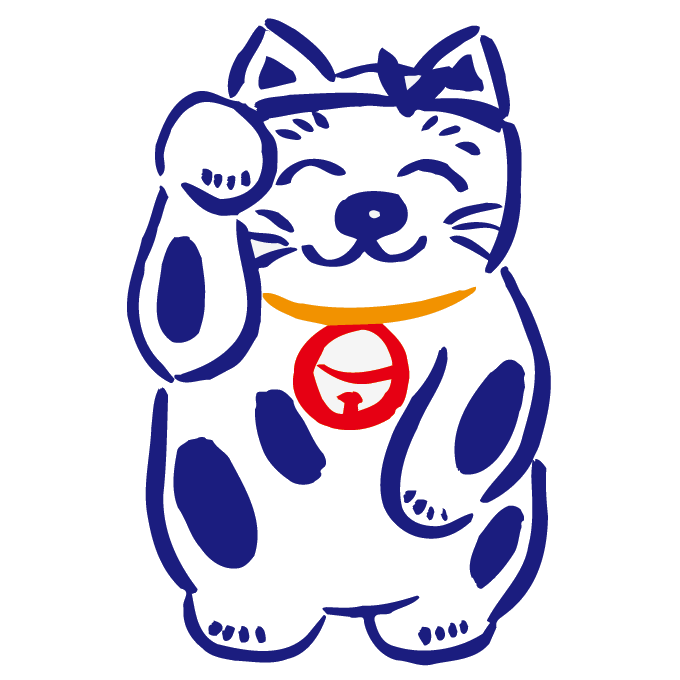 He is Kendonya's original "Maneki Neko" (lucky cat).